There are truck loads of so-called city guides in the App Store. None had yet made it onto these reviews but, the 'National Geographic' name made me sit up and take notice. This taster covers London, New York, Paris, and Rome. Although this is absolutely self-explanatory, those of you who are familiar with the yellow National Geographic magazines will not be disappointed; the photography is exceptional. This covers weather averages (temperature and rainfall), as well as currency conversions, planning information (when to go, climate, passport and visa regulations). Here are some very interesting facts which you might not know... and could safely bet that you could get free drinks from locals by surprising them with your knowledge. A really useful feature is that, when specific places are referenced, the App will locate them for you, as well as giving contact information and direct access to any appropriate website. Here you can set distance units, type of clock (24 hour or a.m./p.m. ), temperature units (Celsius/Fahrenheit) and how light/dark you would like maps displayed. Additionally, you can have information on walks, eating out, what to do and so-called secrets... but you will need to go to the dreaded in-App purchases for these. The basic city guides for the four mentioned cities are free. You will need to pay to upgrade to get more information, and all the pictures. If you are visiting, as a sightseer, any of the four cities, this is a great guide. Even paying to unlock the rest of the information makes it worthwhile. The App, together with the links all work very smoothly. You need to be aware that, in order to go back to the main menu, there is a small triangular tab at the bottom right of the page; it's not all that easy to see, particularly if you are out in the sun. There are no inherent security issues with the App. If you choose to share information via Facebook or Twitter, then be careful when adding your location. National Geographic photos; can't beat them. 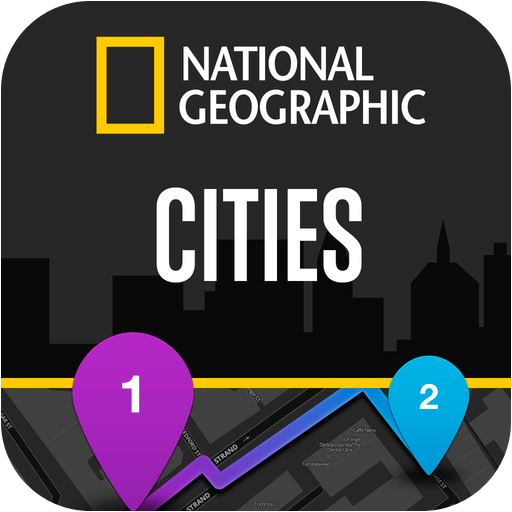 You can get City Guides by National Geographic here and support for the App here. The developer advises that there has been an update to version 1.1.2 of the App. Updated for minor compatibility issues. The developer advises that there has been an update to version 1.2 of the App. Now designed specifically for iOS7! - Access to main menu has been simplified and differentiated from the Control Center. - New menu stacking animation means you'll always know where you are in the app. - Background multitasking now finishes downloading photos for you even if you leave the app. - Swipe from the left edge to go back to the previous screen from anywhere in the app. - Unit pickers in the conversions section are in the new style. The developer advises that there has been an update to version 1.2.1 of the App. Quick fix for a user-reported crash.